Mountains have been the most worthy bearer of romance from time unknown. 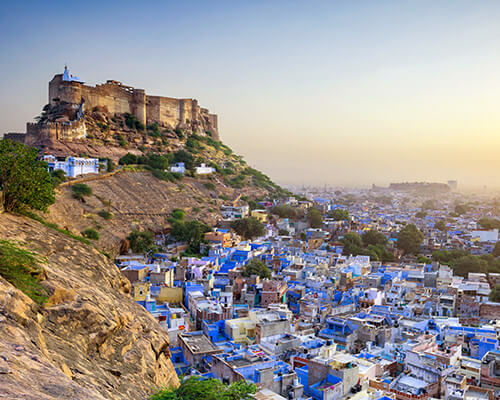 Be its scenic setting, sparsely inhabited surroundings, meditatively flowing mist or several other rich pickings from the diverse environs, the heights contain everything to give anyone the natural high! Precisely the reason why a newly married couple goes crazy when presented with the idea of a honeymoon in Himachal. 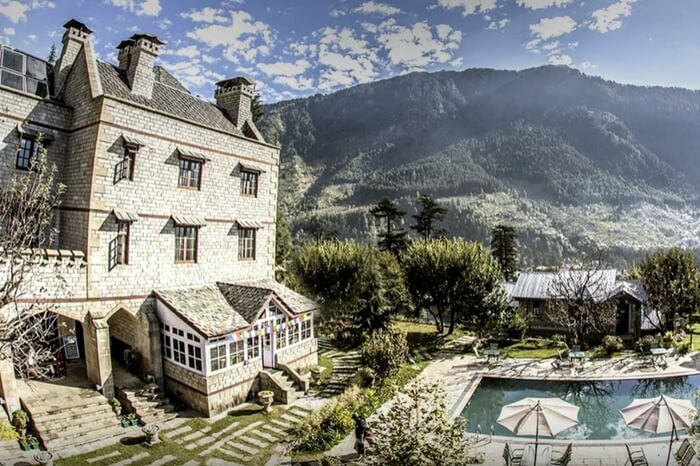 Nothing matches the grace of a dreamy location tucked in the Great Himalayan region. Top it with an equally tempting stay and you are in for an experience of a lifetime. 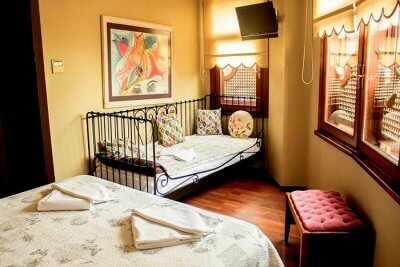 Of all the romantic stays, a boutique hotel needs special mention and the reasons are quite legitimate. Here, the panoramic views emerge from the confines of bespoke rooms and take to impossibly blue skies and whispering leaves. Experiences are crafted at these stays for honeymoon couples and they are made to feel special. 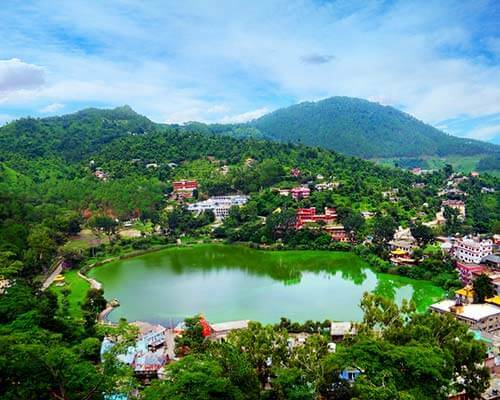 There are quite a few handpicked boutique hotels for romantic couples in Himachal and every honeymoon couple must know what’s in there for them. A boutique hotel/stay is a cozy and small sojourn that offers an elegant stay along with facilities exclusively curated for the guests. Epitomized by sheer class, the boutique hotels mostly tucked in the secluded settings, give their guests a gorgeous feel of the surroundings with awesomeness written all over them. These stays are one of their kind and have a contemporary feel about themselves. Besides, the size and feel, both are quite intimate and unique about these stays. Truly a slice of heaven that no honeymooner should ever miss out! Shimla, Manali, Dalhousie, Kangra, and Solan are mostly on every honeymooner’s wishlist. 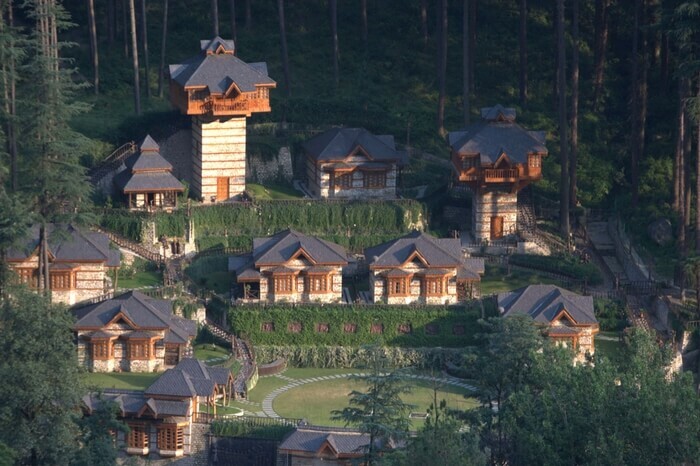 And it is one of the reasons why these places feature best boutique hotels in Himachal. 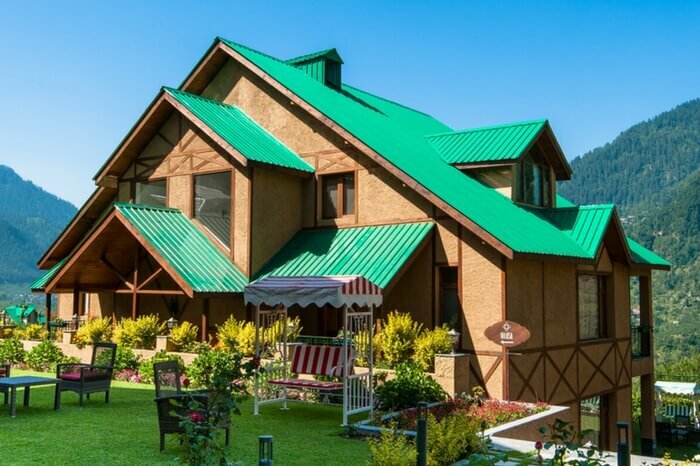 Depicting one of those dreamy cottages tucked in the bushes of Western African highlands, Manali’s La Ri Sa Resort is a class act defined by elegance and comfort. 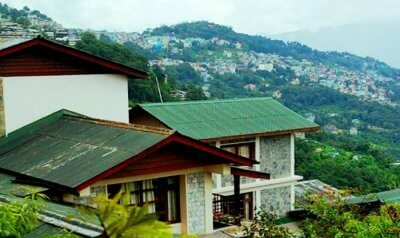 The boutique stay sits in the lap of mountains exuding grandeur. 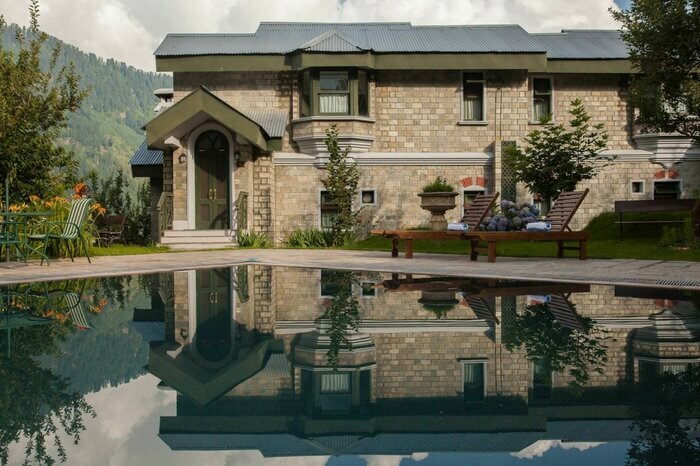 Sitting pretty along the Manali-Naggar road, the luxury hotel made up of stone and wood has endless views of sweeping landscapes and apple orchards. The Deluxe Room and Premier Luxury Suite are the hot picks for any traveler. Plan a special outdoor dinner in the silence of the night with cheerful crickets accompanying you or take a romantic stroll, La Ri Sa confers you the best. Look for more details on their official website and plan a laid back honeymoon in the heart of the Himalayas. 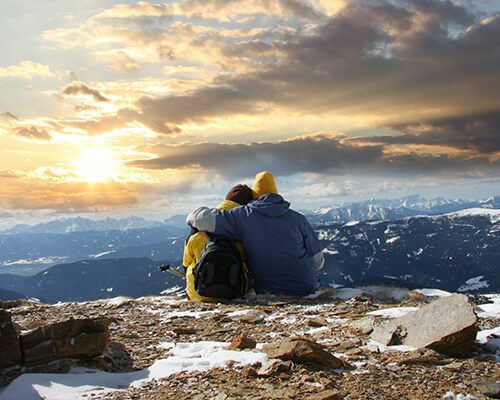 Book your dream honeymoon trip to Shimla-Manali with TravelTriangle. 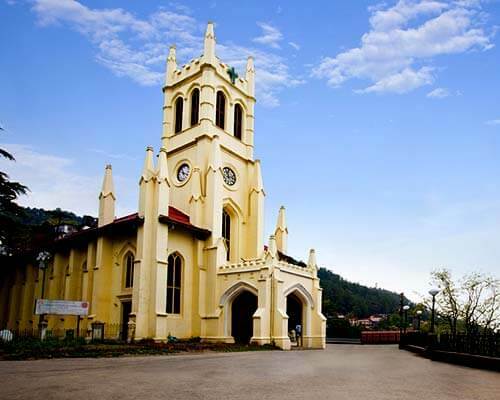 Visit Shimla, Manali, Dharamshala, Dalhousie, & more. 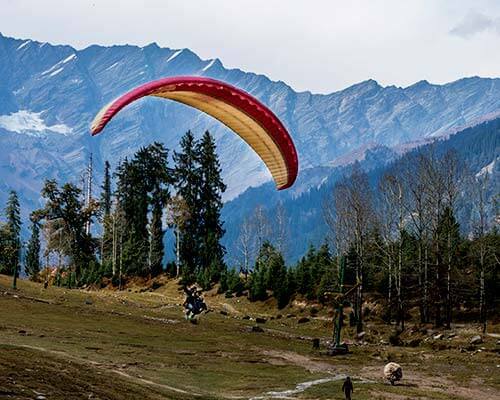 Enjoy the scenic beauty, the pleasant climate, and the romantic setting of Himachal. 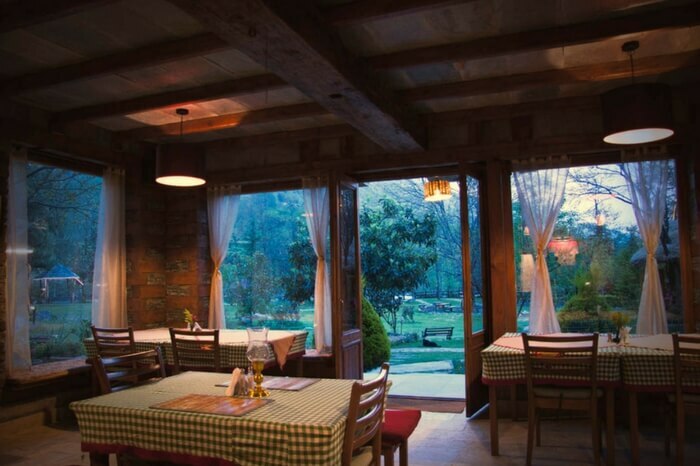 Chic ensembles, decorated surroundings, courteous staff, and top notch service are some of the keywords that come to our mind while thinking about Rock Manali Resort and Spa. 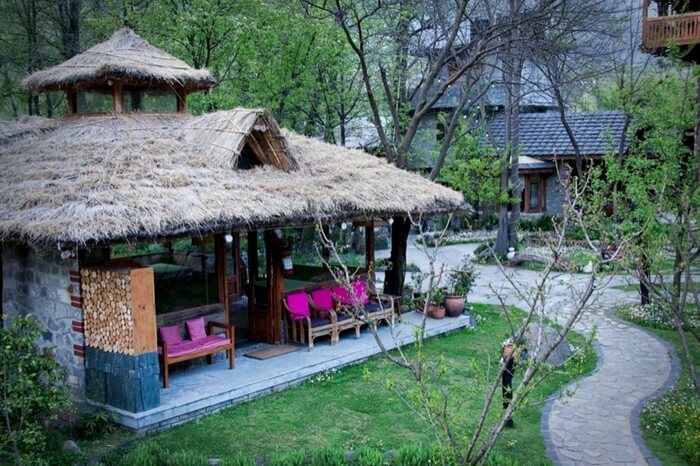 A lush green garden and stream running across it add to the aesthetic beauty of the stay. There is a dedicated spa which is another specialty of this boutique hotel. A stay here in the land of gods experiencing the luxuries and feeling the best of Himalayas explains the honeymoon done right. 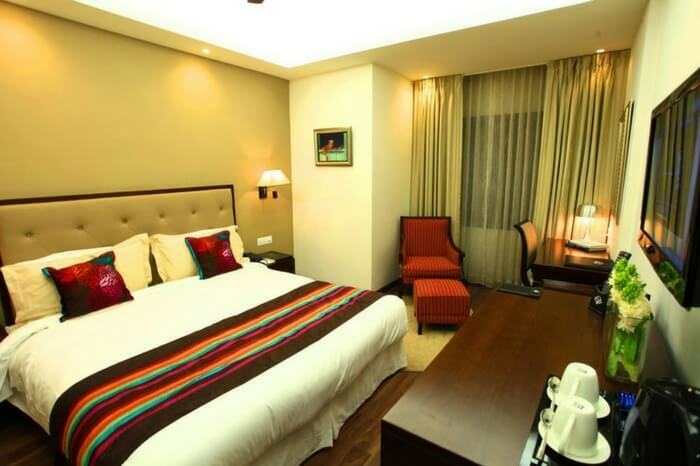 Pick from a range of Royal, Presidential, Deluxe, and Executive suites that tend to all your requirement. 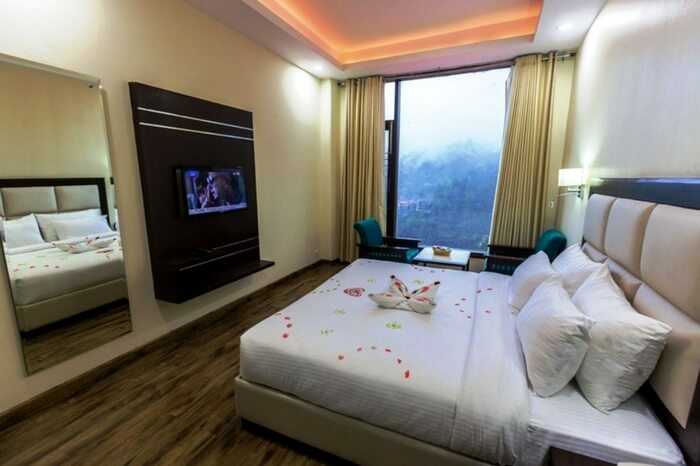 Think of a luxury you would like to be treated to and Rock Manali already has it for you. Find more details on their official website. Redefining romantic experience and luxury the Anantmaya Resort in Manali is a picturesque stay enclosed by grand spectacles from all sides. 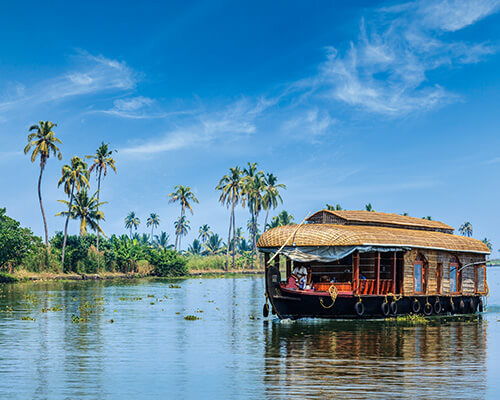 The resort and its surroundings have been aptly adorned by the sea of green from all sides while in-house comfort ensures a wonderful experience. 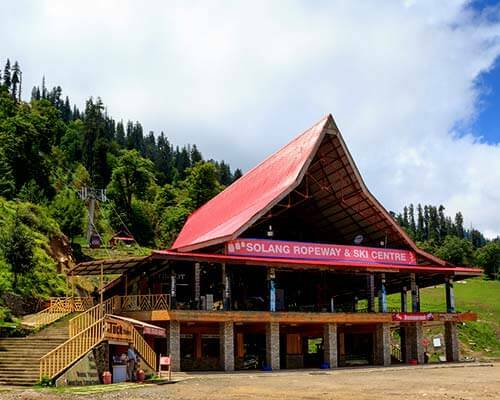 Located at a distance of 4 km from Manali town this retreat is so strategically placed that it makes the attractions located in the central Manali region easily accessible. Couple massage, sauna, steam bath, and other relaxing activities ensure that every couple gets to savor the best while beholding the serene views. Luxury rooms and villa rooms fitted with contemporary furniture, separate balconies, objet d’ art, and mood lighting send across the romantic vibes for you. 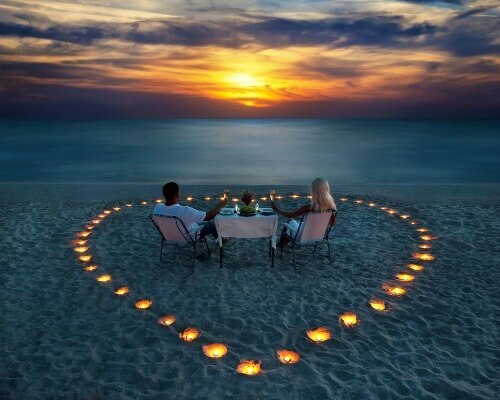 The hotel also offers customized packages with exclusive add-ons presenting specially curated honeymoon deals. 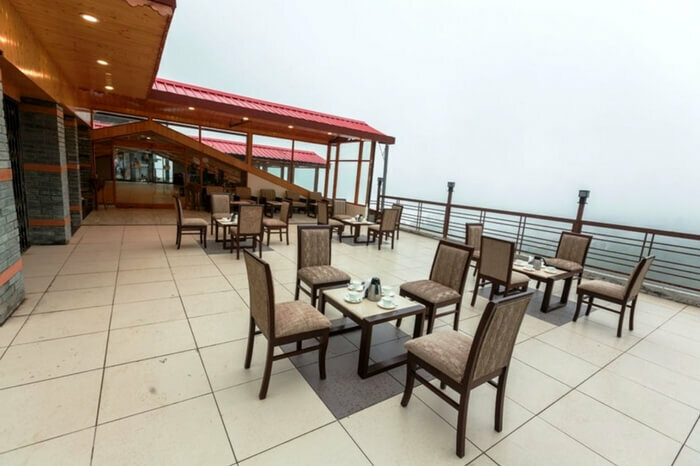 Gravity Cafe is a cool place to check out located almost 6.5 km far from the resort! You can send an inquiry to their official website for more details. When you talk of boutique stays in Himachal, Kullu is the place that never ceases to surprise you with its hidden gems. 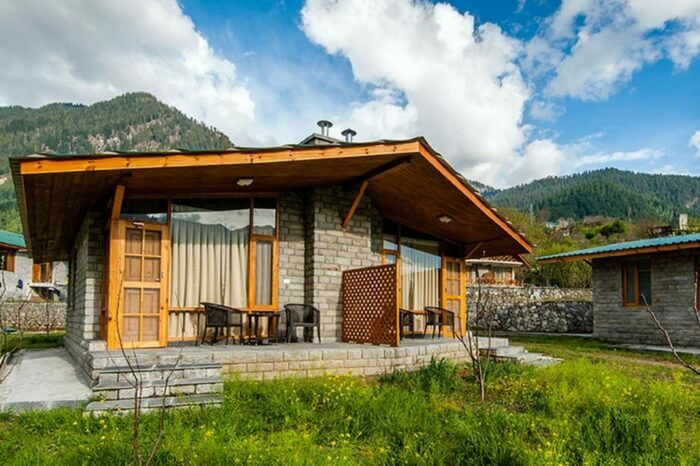 Yes, the Neeralaya is a riverside cottage in Raison Village in Kullu district where romance stretches its wings and couples embark on a momentous journey. Be it exploring the surroundings with a romantic walk or basking in the glow of heavenly setup of the interiors, the Neeralaya Hut tends to all your fancies. 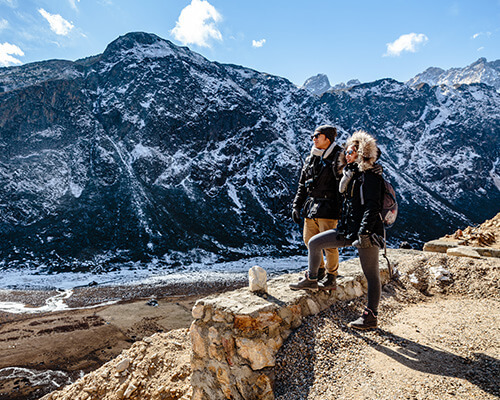 From organizing apple orchards hike to getting you to the far-fetched places like Rohtang Pass and Lahaul & Spiti to further offering you a quiet retreat where love strengthens a new relationship, the stay has it all. Fall in love with the incredible food – all the veggies and most of the other edibles are homegrown, tender atmosphere and romantic vibes emanating from every nook and corner of this wonderful property. Pre-bookings and inquiries can be made through their official website. Wonderful organic surroundings of Neeralaya awaits you. A perfect date marks the beginning of a beautiful friendship. Nothing makes it more exciting than a stay in The Himalayan Village. 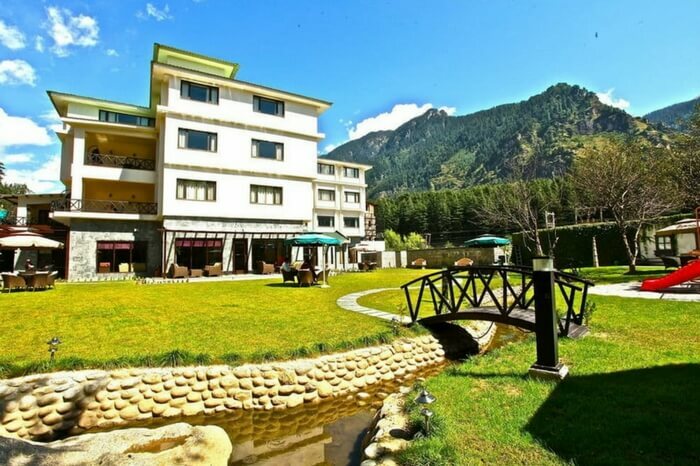 Stylish, classy, and aesthetically adept are the words chosen by people to describe this rejuvenating haven tucked in the foothills of Malana Village, 10 km from Manikaran. Stationed on the contours of the mountains and its greenery, the cottages of The Himalayan Village is made in typical ancient Kathkuni style. A pattern in which woods are stacked amidst dry stones without cement. 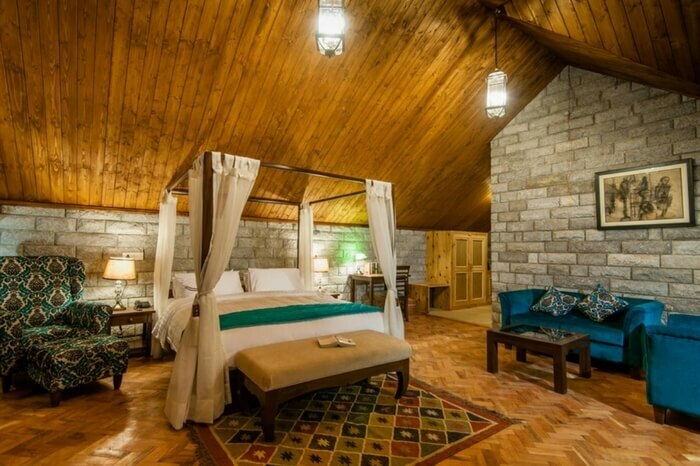 Mud and clay with along with deodar and teak wood adorn the interiors of these super luxury cottages where gods once lived. 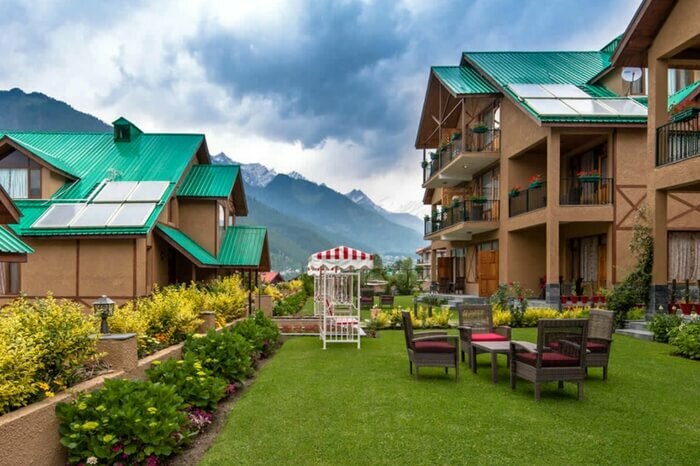 Multi-cuisine restaurants, traditional bar, spa & heat sauna, Jacuzzi, aroma bath, acupressure massage and multiple adventurous water activities in the closely flowing Parvati river complete its aspects of being a must-opt place. Hey, they have some traditional folk dances as well to rejuvenate your soul. To get the best feel of the boutique stay Machaans are highly recommended. These cottages are perched at a height of 50-60 feet above the ground and offer commanding view along with the amazing spectacles. 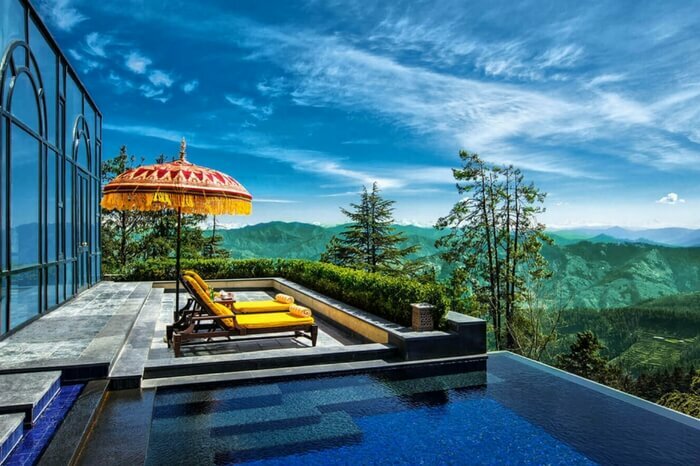 At The Himalayan Spa Resort, you enjoy an unparalleled royal treatment. 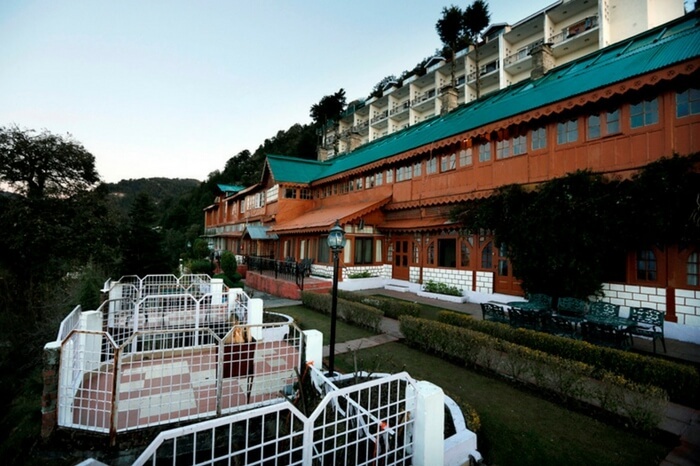 The boutique stay that brings you the best of cottage and castles stays in Himachal has been Victorian Gothic Revival style and is perched at an imposing altitude of 2003 m. One of the most remarkable boutique hotels in India, the Himalayan Spa Resort is set amidst the majestic nature views enough to make a jaw-dropping spectacle for love birds. Views of apple and cherry farm make the setting even more romantic with scenic delights. 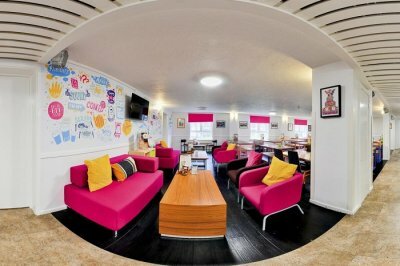 Choose from a range of exciting activities offered. Paragliding, angling, jeep safari, rock climbing, and canoeing are some of the most sought after things to do by honeymooners. Everything is particularly crafted for just the two of you. Take a plunge into the world of tranquility. Bask in the deep embrace of nature as immerse yourself in the moment. Hold your beverage, feel the magical wind brushing past your face and live the moments. A stay in this boutique hotel will only turn your honeymoon into a memorable vacation. Gather more information about the Grand View Hotel on their website here. A stay into the clouds perfectly explains a dreamy honeymoon and places like Snow Valley Resort only make things more intense for romantic couples. So instead of roaming around the world, look for your destiny right next door. 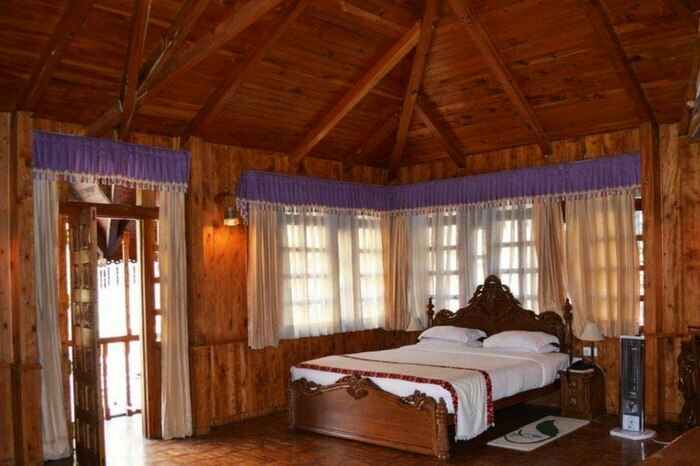 A warm cottage of Snow Valley Resort awaits you with all its magical views and exceptional surroundings. Age old pine trees, top notch services, and exceptional hospitality make Snow Valley Resort a place where romance itself counts for the backdrop. Located on NH – 22, the boutique stay certainly captures the spirit of the Himalayan land known as a honeymooner’s first love. From the pocket-friendly Standard Room to Premium Rooms to super luxury Executive Suites, you name an option and they already have it. Call it a neo-classical facade and you know you haven’t wasted your words describing the undeserving! Wildflower Hall, with all the exuding Victorian Charm, has all your love and attention. 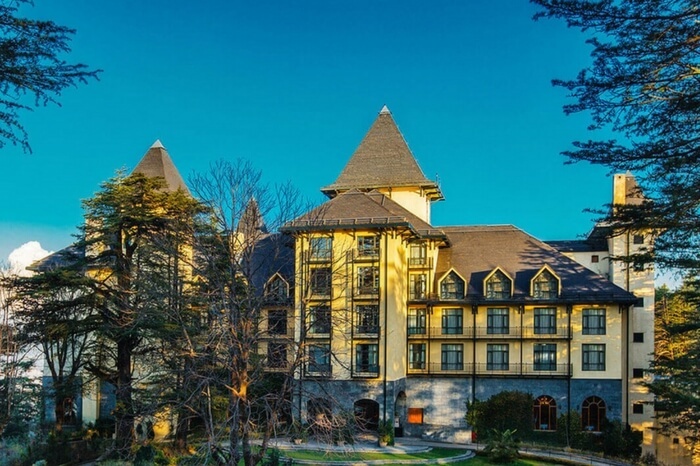 The glorious hotel in Shimla has suites emitting timeless beauty and is well topped with impeccable surroundings and plenty of activities. Treat yourself to a rejuvenating session of spa and massage, take a sanctuary experience, spend romantic moments at the nearby peak, or go for a romantic dinner at the gazebo, there’s plenty of customized experiences handpicked for you. If you are looking forward to more thrills you can always take up adventurous activities organized by the hotel owners. Remember the majestic views are right behind the curtains of your bedroom. All you need to do is slide it a bit and brace yourself for the best. P.S. You mustn’t miss taking a bath in the infinity pool here. 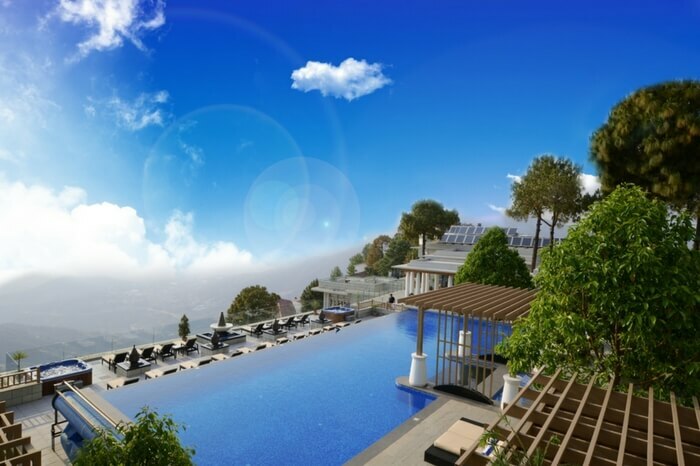 Overlooking the magnificent views from the precipice of the infinite pool could be the most enthralling thing you have experienced in awhile. 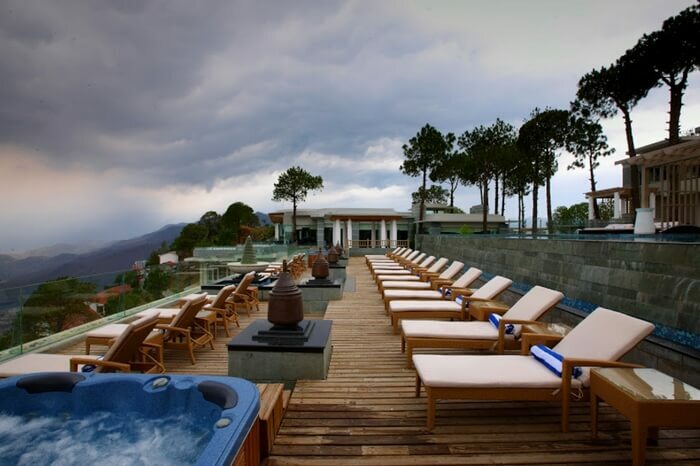 At Moksha Spa located in Parwanoo in Solan district, the world and luxuries are at your feet. Let go of yourself at the romantic boutique which has also been named one of the most romantic resorts in India by Conde Nast Traveler. 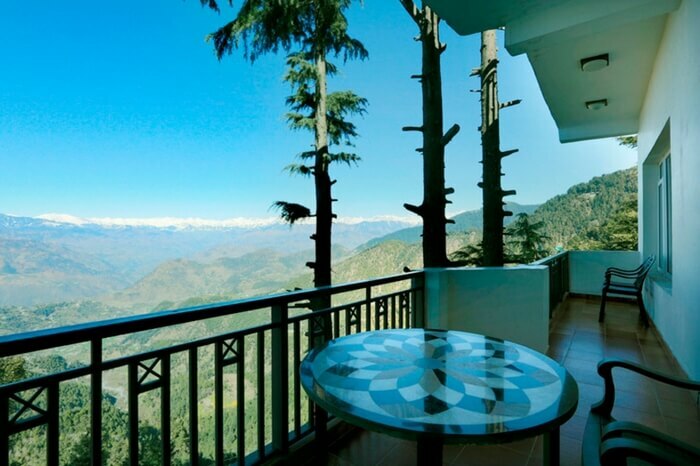 Located in the close proximity of Himachal – Haryana border, the resort is elegantly placed in the foothills of the Shivalik. Also considered as a perfect location for a wedding, the hotel has rejuvenating spas, outdoor heated infinity pool, Ayurveda room, jacuzzis, and a rich library to make the couples feel home. Moksha Spa is a mere 5-hour drive from Delhi, which means it can also be considered as a popular weekend getaway option as well. A whole world of excellence and grandeur awaits you at Moksha Spa. Get a feel of the excellent surroundings and tasteful interiors exclusively curated for you. Take a tour from the most opulent to the most intimate! 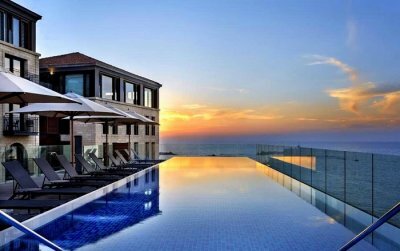 At The Setai Tel Aviv, You Can Now Stay & Experience The Charm Of A 12th Century Fortress!